Just some short notes to log where I'm at with the LF camera and learning experience. In short, not much has happened in the last month or so because of the weather. Remember it's the Pacific Northwest and we're having a really cold and wet winter and spring, even today it's been raining steadily with periods hard rain (for us). So, getting out has been a struggle, but I have managed some work and have a box of exposed sheets to drop by the lab in a week or so. Other notes. 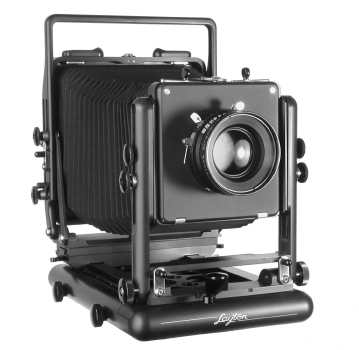 The Layton is still awaiting news of its production. We'll be happy with this spring, but it's a who's know plan right now. Until then the Horseman works with the two lenses. If the Layton isn't produced I'll have to go back to square one and research a field camera that will handle the four lenses I now have for it. With the Schneider 90mm f5.6 Super Angulon and 300mm f5.6 Symmar-S it has to take copal #3 shutters and a large lensboard for the rear group. I still have a list of sites to photograph to learn. As I run errands I find news one, drop old ones when I look at them again and don't see what I originally saw. The list, however, is growing longer, waiting for better days to get out and photograph. I also still have the traditional film test to do, but for now, it's watch the rain and wait, and wait some more, but spring is coming, the camera bag is ready, and the list of places to go and photograph only grows longer.